You are used to wearing leggings to the gym and for running errands, but for office it is a completely different ballgame. Here we are talking about the creative jobs that allows your creative ideas to sprout and take shape. Jobs that requires artistic skills and does not put restrictions on your fashion sense as well. Hence if you’re into the wall street kind of job, these clothing ideas may not appeal to you. A lot of people consider leggings as too casual and revealing. But if you style it well, chances are that it might be the part of a cult dress code in your office. The most important thing that you need to remember before selecting the right pair of leggings is the quality. Hence investing in the right pieces is really important which is possible with the help of wholesale leggings manufacturers. You can layer a long wrap dress over a pair of leggings to add some drama to the outfit. Instead of opting for several colors stick to monochromatic shades like a white, black or even charcoal. Add a wide leather belt around the waist to provide some definition to the silhouette. For the shoes, opt for kitten pump heels . A structured jacket is all you need to look perfectly polished for a dinner with the clients. You don’t necessarily tick the dress option. Sometimes leather leggings can do the trick. The only advice would be don’t opt for any kind of pop colors here as it can render the entire outfit tacky. Thus, make sure to stick to the dark colors. An oversized silk top layered under a denim jacket is sweet and chic. For the leggings you can select and ombre print to add some color to the outfit. For the shoes, converse heels would be the best idea but you can also wear vintage sneakers as such elements will be a fresh change from the usual trendy pieces. Pair sleek brown leggings with pastel blue turtleneck sweater and a fuchsia pink blazer. It is pop colored yet subtle. If you don’t like to stand out with your clothing then this outfit is the ideal choice for you. For the shoes, select a tan brown leather boots. The high-low length is a fresh take on the traditional hemline. Hence opt for an asymmetrical full length cardigan to imbibe some chic look in your clothing style. In this case opt for blush pink hues as it will create a soft and feminine color palette. For the shoes, white heeled boots will allow you to channel your inner Carrie Bradshaw. Graphic crop tops will look super amazing with plain black leggings. If you want to add some sporty details into your clothing opt for a pair with mesh panels on the sides. If the crop top becomes too revealing for the office make sure to layer it with a charcoal gray kimono. For the shoes, you can either opt for strappy heels or opt for converse heels if you want to maintain your sporty aesthetic from the waist down. 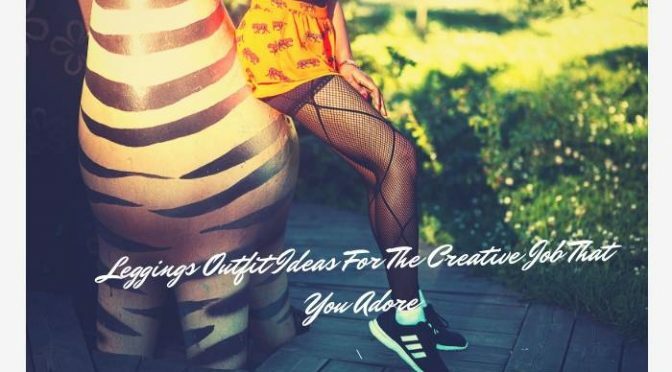 Thus, retailers who want to include trendy leggings in their store can get in touch with one of the popular clothing manufacturers and distributors . All you need to do is browse through the unique collection of clothing that the manufacturer has in store. After selecting the required pieces, state the bulk needs to the customer care team. Previous PostHow You Can Build The Right Retail Collection For Your Store!Next PostHow To Match Your Retail Store To The Expectations Of Customers?